Kingdom Praise Fellowship Ministries Inc. 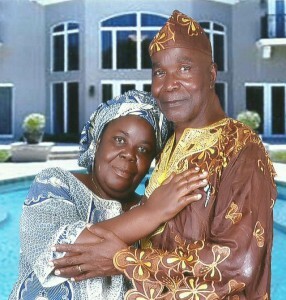 Biography:Kingdom Praise Fellowship Ministries Inc. began on April 16th, 2006 by Zatah and his wife Tenneh Nyeneme. They both felt led by the Holy Spirit to move and plant a church in Paynesville Omega Community which is located about 2.5 miles outside of the capital Monrovia. Their congregation is made of over 150 believers who attend weekly services and cell group meetings. They believe Worship is a great way to connect hearts with God and because of this, their worship team has 23 musicians and 6 lead vocalists! They want to move you and to get you clapping to stir up your heart! Zatah and Tenneh's church mission is to "transform our world through Jesus by connecting, developing and mobilizing people for God?s glory." Kingdom Praise Fellowship Ministries Inc. members are 78% children and youth, therefore, they focus on leadership training for potential leaders and couple it with effective prayer. Strengths: Zatah functions in the gifts of healing, teaching, preaching, and prayer. He is empowered by God's grace to lead and applies his faith to keep walking through doors of opportunity.